August, 2017 | Chain D.L.K. musicians/artists from the UK, US and Canada. World Premiere / Commissioned by Organ Reframed. partnership with the London Contemporary Orchestra. and touch of fun the Daylight Music series is famed for. Pay-What-You-Can. Suggested ticket price £5. Low have garnered an array of praise from critics and artists alike. the most impressive albums of their career” by MOJO. step forward for the band. the ambient drone mastermind Adam Bryanbaum Wiltzie. resonance – Accessible at all Organ Reframed events. premiere / Commissioned by Organ Reframed. sound with a huge range of textures and tones. original, functioning hydraulic (water powered) bellows. venue an amazing three times, in 2002, 2012 and 2014.
years of our venue and the 140th anniversary of our building. Robert Ames and conductor Hugh Brunt. for her innovation in sound and music. First time on vinyl expanded reissue of 2001’s We Are Eyes, We Are Builders by Brooklyn’s (now relocated to L.A.) Soviet. Originally released on Plastiq Musiq on CD and later reissued on tape in 2011 and CD in 2003, it is a synth pop masterpiece of the highest caliber. 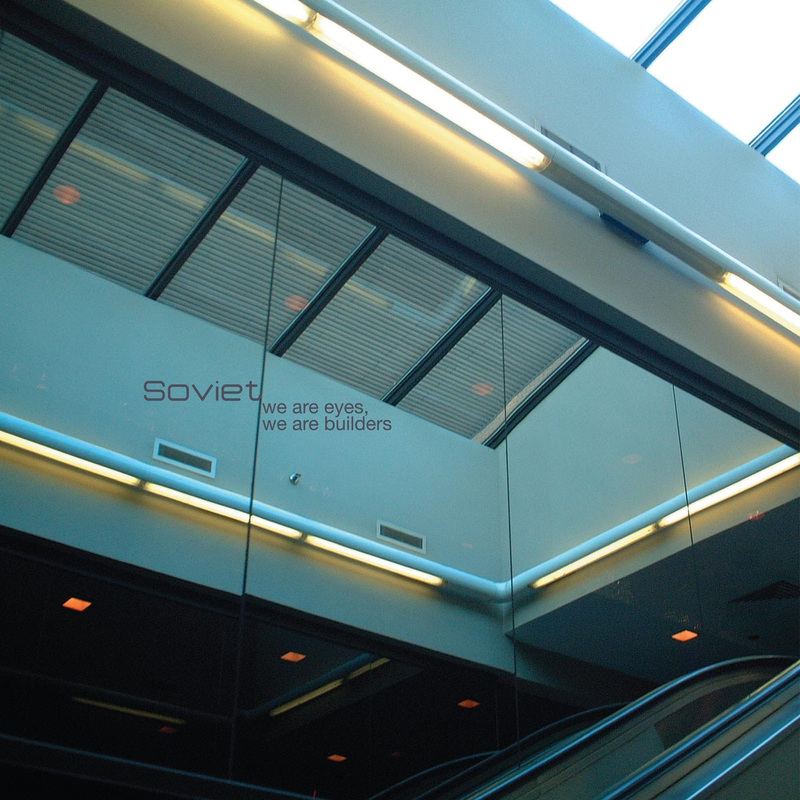 In uenced by all the greats, Soviet’s rst album is a shining star distinguishing itself from the Electroclash movement of the time. Beautiful, warm new romantic pop songs occupy this double LP and will certainly appeal to fans of early Dare era Human League and Depeche Mode’s A Broken Frame. Side D features 5 previously unreleased tracks. 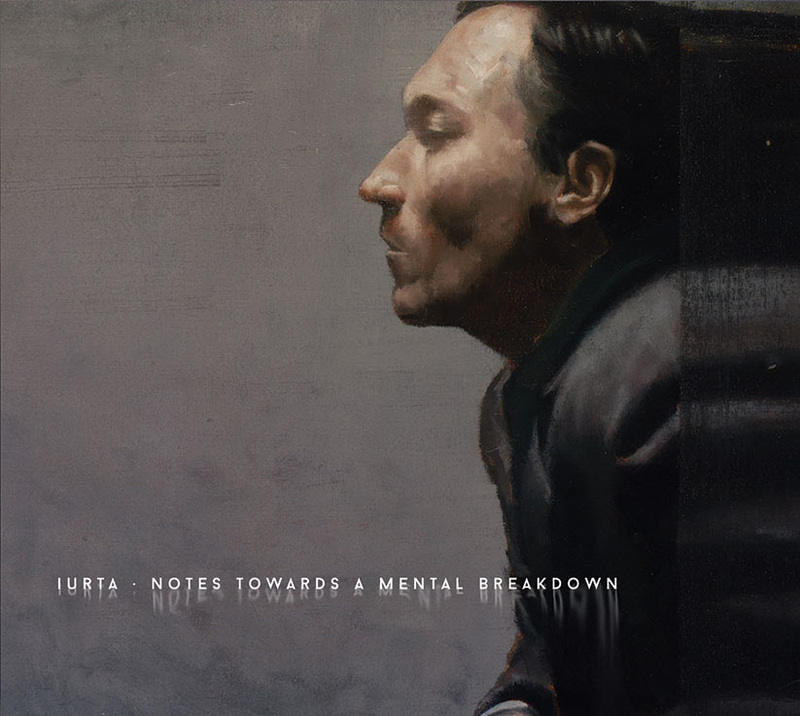 Remastered for vinyl by Martin Bowes at the Cage, UK. 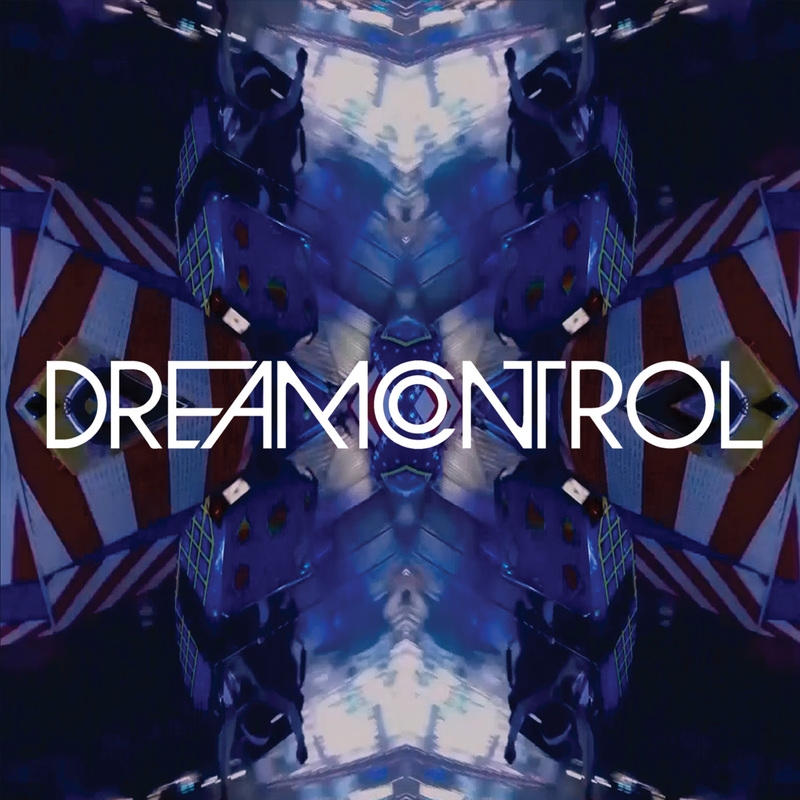 Dream Control is the collaboration of a legend of the Krautrock Kosmiche scene and a pioneer of the German electronic scene. Zeus B. Held, renowned producer (Gina X Performance and works under his own moniker) and Steve Schroyder (former member of Tangerine Dream during their formative period) team up to deliver their debut album “Zeitgeber” which celebrates their very own sound and rhythm in a cosmic journey through audio and time. The tracks are a blend of structured compositions and improvisations accented by the throat singing of Kolja Simon und Felix Mönnich aka AlienVoices. The album plays like a Technicolor adventure through space with explorations of cosmic disco, dreamlike passages, vocoder lullabies, and space odysseys. Zeus B. Held began his musical career in 1972 in French progressive art-rock band Eruption before joining successful German prog rock group Birth Control, performing and writing with them 1973 – 1978. He was one of the first musicians to use the Sennheiser Vocoder VSM 201 in his live sets. Zeus’ production work with cult project Gina X Performance transformed him into an electronic specialist producer settling down in London for over 20 years. In his London studio he worked with artists including John Foxx, Dead or Alive, Men Without Hats, Transvision Vamp and Gary Numan, did a series of international soundtracks and further productions with Nina Hagen and Udo Lindenberg. After numerous trips around the globe he composed and produced a collection of his own albums (which Medical released a hand-picked selection in 2015). 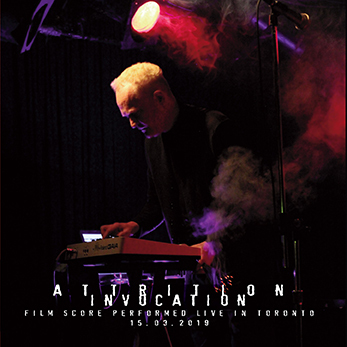 Steve Schroyder started to develop his musical vision with an electronic organ and his own films. He founded the group Turning Free giving a string of improvised concerts in Berlin clubs before meeting Edgar Froese in 1970 to mutually further develop the vision of ‘cosmic music’ resulting in recording the Tangerine Dream albums Alpha Centauri and Zeit. In 1972 he left TD and joined Ash Ra Temple. Further creative collaborations and projects include Scarecrew, Augenstern, Star Sounds Orchestra, various trance productions, Anne Clark, Alien Voices and Star Sound Kontinuum. The tracks have been expertly mastered for vinyl by Zeus B. Held. Limited Edition. IVVY is a Seattle techno and electronics producer. 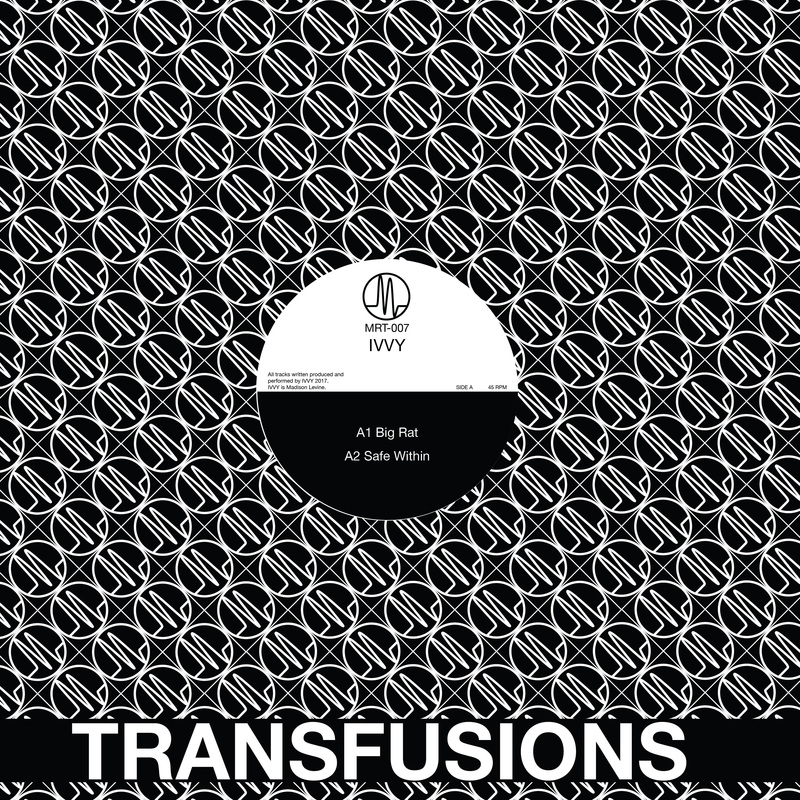 Following two cassette releases (MOTOR and Jungle Gym Records), we are proud to release their new 12” EP on Transfusions. IVVY has been burning tracks on the tour circuit as of late. Here we have four cuts of relentless and dark-tingled techno for your listening pressure. Finely sharpened DJ weapons for the uncompromising selector. These tracks are akin to other stompers in the genre on such fine labels as MORD, Our Circula Sound, and Token. División Avanzada Independiente (D.A.I.) was a collective of musicians that was formed in the early 1980s in Valencia and could compare with similar movements such as the B.E.F. (British Electric Foundation) , its Member initial were Jose Luis Macias (Glamour, Tomates Electricos, Europa and Ultima Emación), Miguel F.Jim (Proceso Inverso, Psiko Psiko and Radio Klara), Fco.Jose Galán (Tomates Electricos, Fanzine and Fuegos Fatuos & Notre Dame) and Lino Oviano (Europa, Ultima Emoción and Fuegos Fatuos & Notre Dame). The DAI was formed by groups concentrated in construction of sounds with electronic gadgets, drum machines, sequencers and synthesizers, the D.A.I. edit during the early 80’s several cassettes impossible to find today, we have selected and remastered the best tracks of that movement, presented in a limited pressing of 320 copies. Breathing Age was formed when Simon Champion (then Lawrence) approached his cousin Paul Seccombe in 1981 to add some lyrics and vocal melodies to some electro pop instrumentals he had recorded at his flat in Worthing, England. This compilation presents a selection of the total recordings made by the duo over 1981-82. Only 1 song, ironically the self named ‘Breathing Age’, did not survive due to cassette tape deterioration. These recordings have been remastered from archived cassette tapes. Enjoy the minimal electronic indie synth pop of this earlier demo recordings that highlight the influences of bands like Kraftwerk, OMD, Ultravox, Gary Numan and even Joy Division. A selected collection of rare and hard to find tracks from the Spanish Synth Wave scene from the 80’s. 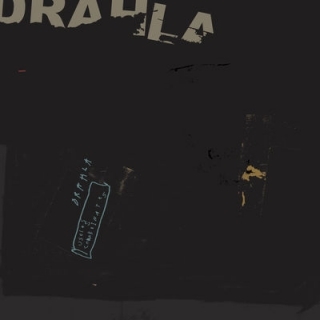 All the material featured on the Niebla Densa – Spanish Synth Wave 1980-1987 LP has never been officially released before and most of these tracks should be considered as demos although some bands had the chance to record them on cassette or reel-to-reel for very limited or failed editions, this compilation is the result of a long period of searching and restoring rare gems of the Spanish 80’s Synth wave, presented in a limited vinyl edition with only 300 copies, includes insert with detailed information regarding all the bands featured, YHVH, Justine, Falsa Pasión, Muzak, Zincpirithione, Fluido Vital, Dix Ferro, Tripode + Tercio, Esmalte Sintético , Galess, y Al Fondo A La Izquierda. MESH started around 1980, in Geneva, Switzerland, It was a two member band with a drum machine jumping from sordid, slow and dark numbers to two minutes almost punk ones, they self-produced in 1986 “claustrophobia” a rare and impossible to find LP with superb synthpop and darkwave gemms, now re-edited and re-mastered in this 2xLP including the unreleased material from the Onkalo sessions from 1987-1988. Gear used: Roland TR-808 , Boss Dr 55, Sequential Circuit DrumTraks , Kawai RX100 , Roland SH-101, Korg Poly 800, Sequential Circuit Pro One , Yamaha DX7 and Roland Juno 60. T.V. Sovietica was an exploratory sound project from Valencia (Spain) developed in 1983 in the postpunk era of the early 80’s which built on the work of “Neonada y Atentados”. From these beginnings evolved a brief, dark and unsettled trajectory based on sound effects inspired by electronic German music with influences from the artistic vanguard analogy (Satie, “Musique Concrete” and minimalism) The darkest, most introspective postpunk, radicalising with its’ experimentation, moving towards “industrial”, “anti-music” styles. The essence of its’ sound combines the use of guitars and electric bass with electronic instruments (Yamaha CS-15, Korg MS-10, Boss DR-55 , etc) , acoustic percussion, mechanical elements and vocals. Confronting frequencies elaborated from improvised riffs with vocal expression. Of the same generation as bands such as Esplendor Geometrico and Aviador Dro. The lost model, now recovered in this work demonstrates the beginnings of Spanish synthpop with “Contacto Telepatico”. The influence of New Wave in “La matanza de los bebes foca”, moving towards the conceptual project “Islandia” to which the majority of the themes belong, “ Oxido en tus ojos” (1984) draws to a close a period of work for the band, probably in its’ most corrosive moment. Grupo Q was formed in 1981 by Fernan Carmona (ex-Bola) one of the pioneers of the Spanish electronic music, “back up” is a compilation of the first works never edited. For fans of Ultima Emocion/Europa, Fanzine, Aviador Dro or Oviformia Sci. 12 original remastered minimal-synthpop songs from 1981 to 1983. Dutch synth duo Staatseinde finally releases their debut EP on vinyl… after two 7”s on Enfant Terrible they present this 6 track EP… stripped down through the years from a band to a duo the sound also changed… the songs on this EP are more up-tempo, louder, more beat orientated… and also darker as before mostly… and… for sure more dance floor minded… expect some classic minimal synth tunes in line with El Aviador Dro and Welle: Erdball for example but also more punchy tracks with EBM influences… Staatseinde 2.0 has arrived! 2 new titles are now Available! 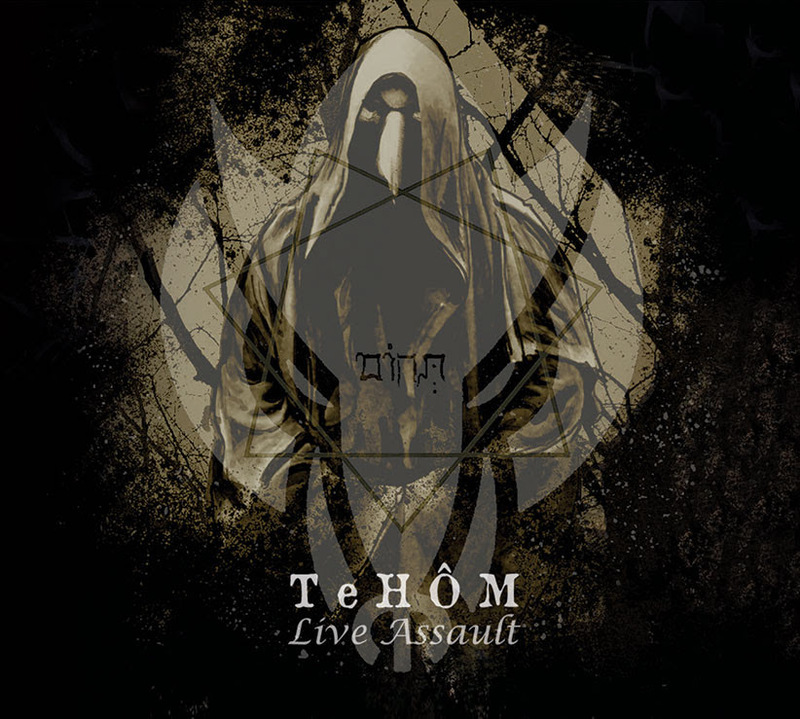 Special LIVE audio recording of a unique TeHÔM performance for “The Keep Ambient Lodge” at 2016’s Brutal Assault Festival in the Czech Republic. Recorded both through the mixing board as well as from two room microphones to capture glimpses of the live experience. TeHÔM’s music recalls visions of ancient cultures, evoked by hypnotic, abstract and organic soundscapes wrapped in ritualistic and esoteric atmospheres from which a primordial flood of Chaos emerges.